Are you looking for a method to look up all domain names owned by a specific registrant? Then you need to watch this interview. Note: During the taping of this interview, Skype crashed and most of the live footage was lost. Fortunately, our backup recording functioned properly and saved 100 percent of the audio and video tutorial, but there are portions where we had to use a still image for our guest Simon Johnson. Our apologies to Simon and to our readers for this technology snafu. 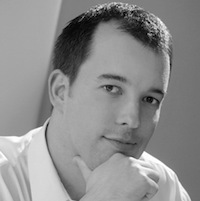 Simon Johnson is founder and director of IPNeighborhood.com, a domain name intelligence software suite. In 1994 he founded Australia’s first Internet service provider, ISP.com.au. In 1997 Johnson built the niche security search engine SecuritySearch.com, which he exited in 2002. He is also the author of “Keep Your Kids Safe on the Internet” published by McGraw-Hill. If there is one thing I have learned from my time in the domain name industry, it is that investors love their tools. If there is a new tool, they want to try it and see if it helps them make more money, save more time, or find more diamonds in the rough. Today’s show might just include that tool you have been searching for. Stay tuned. Michael Cyger: Michael Cyger: Hey everyone. My name is Michael Cyger, and I’m the Publisher of DomainSherpa.com – the website where you come to learn how to become a successful domain name investor and entrepreneur directly from the experts. There are a ton of whois services on the web, but very few historical whois searches or brand monitoring services. And there is a new service in the marketplace that we are going to learn more about, and it might offer some benefits you have been wishing the others had. Joining us is Simon Johnson, an Internet veteran from Australia and Director of IPNeighborhood.com. Simon, welcome to the show. Simon Johnson: Thanks Michael. Thanks for having me. Michael: Simon, so, for anyone that has not heard of IP Neighborhood before, because it is a relatively new service, how would you describe it to them? Simon: I would describe it as a competitive intelligence tool. Probably one that is upper level certainly; that they have not perhaps used before or had available. There is a lot of free stuff out there. There is a lot of stuff that is a bit old. But we have really tried quite hard over the years to make an enterprise-grade tool that provides you with all sorts of info on domain names, and websites, and trademarks. Michael: Very cool. So, right off the bat, I want to talk about something that struck me from your intro; is that there are a lot tools out there. I know some people will go to Google and they will do searches, and they will try to do reverse searches on somebody’s email address to find out other domains they own because there are other spiders out there that will search for them and store that information, and they are not very comprehensive. I know I use a service that is free that actually looks up by email address and shows other domain names, but it is not complete at all. Michael: And so, you get what you pay for essentially. Michael: And I should start off the interview by saying that there might be times that we refer to DomainTools.com throughout the interview. And I do not bring it up because I want to promote them during your interview, Simon, but I want to bring it up because I know a lot of people in the industry use domain tools. They have been in the industry for a long time. They are sort of the incumbent, and so it is easy to compare a new tool against a benchmark that people are familiar with. And so, I am not going to do it a lot, but one of the things that I will do right off the bat is DomainTools.com is fifty dollars a month and I know I use it a lot and I know a lot of domainers use it a lot, but I also know other domain investors that do not use it because it is fifty dollars a month. What struck me about your service right off the bat is that its price point is significantly lower. How much is IPNeighborhood.com? Simon: Well, it is half that. It is half of DomainTools and it actually gives you double the amount of credits that you would otherwise get on their more expensive plan. So, yes, yes, DomainTools has been in the market for a very long time. We knew that obviously getting into it. They are very strong. Someone so (Unclear 3:44.1) that have been around for quite a while, and I had the view, as did many others, that the industry in that particular niche was broken and we wanted to create a disruptive service to come in there and raise the bar. When you have got an incumbent that has been around for a long time that is based on, say, technology that was developed very early on, yes, it has a lot of information. We think we can provide a better service, so that is what we have gone and done. Michael: All right, and that is what we are going to learn more about today. When did you officially launch IPNeighborhood.com? Simon: We actually did not go through a launch process. We only just turned it on. We contacted a few people literally maybe a month or two ago and got some feedback, got a lot of users using it, and so it is brand new. Simon: A lot of people have not heard of it. Some people may have seen some of the tools in some of our other products, such as in Domainer Income, but it is largely a new service and there is a lot of information there. Michael: There is, and so we are going to talk about that. What was the impetus for building a suite of domain name tools like IPNeighborhood? Simon: Well, it all started back when we had our domain name investment platform – Domainer Income – quite some years ago. And we really took I guess a stock trading approach to it back then and we developed an online platform, where people could search multiple aftermarkets and they could value domain names. They could track their portfolio. And we also broke up things like expired domains and expiring domains. So, if people wanted to find diamonds in the rough, they could, or if people wanted to find domains at auction, they could. So, what we have done is we have built on the information that we have gained back then and prior from our own research and we have put it together in I guess a business-grade enterprise tool with some other things that businesses are after, such as trademark monitoring, for example. So, what we thought we would do is generate a suite of tools with that depth and breadth that actually solved problems for the community. Not just for domain investors, but for the businesses and corporates at large. Michael: Right. Great. I love to go back in time to find out how people got here, because I think a lot of people learn that you cannot just sit down and say, “I am going to develop a suite of tools that will help me understand the security and the history and sort of the background of a domain name.” And so, how did you first get involved in the Internet, Simon? Simon: Wow. It is an interesting story. I will make it very– I actually first used the Internet way back in 1989. Well before the web. Simon: And back then, it was all Unix prompts and Vex machines, and things out of University. And it was an academic network. There was a bunch of people on it. You could fit all the websites onto two pieces of paper. Simon: There was not really much there. Michael: Yeah, it sucked back then. Michael: I had to have this little crib sheet next to my Vex terminal monitor that all the commands that I needed to run in order to learn stuff, because nothing was point and click. Simon: So, if I said to you set def., you would not know what that is. Simon: So that is where I started. And I had kind of a purist view of the Internet, and along came the web and I thought: “Wow, this is very slow. How is this going to happen?” And I remember, back in the ’90s, I started one of Australia’s first ISPs, literally called ISP. We had the domain ISP.com.au. Michael: So that was in 1994 that you first registered that domain. Simon: A very long time ago. Michael: Yeah, so I want to pause your story for one second there. Tell me how you got ISP.com.au. Simon: Well, believe it or not, you could not actually. That domain was taken. We had to acquire it. We actually bought the name from somebody. We had the business ISP and Internet Service Providers, and we said, “Well, we want that name,” so we just went out and bought it. Michael: Yeah, so this is before. I met so many entrepreneurs. Successful people in business that first started off in the ISP world. They ran ISPs, and then there was a big ISP rollup and that is how they made a lot of their wealth. So I am always interested to hear how people got into it and being in an ISP early really gives you a background in so much of the Internet that is important. Simon: Yeah, and look before ISPs. There were dial-up modems and Fido and all the other rail proprietary networks as well. So, there is a lot of history there, but that is all a bit by the wayside now, but that is how it really started. So, for me, I am a technologist. I understand the technology. I would not consider myself a programmer by any stretch of the imagination, but that is my background. Michael: Got it. And what happened to that ISP? Australia’s first ISP that you started. Simon: Well, we sold it. It is quite simple. We sold it. I moved on. I literally saw an emerging area in security and risk management, given all the issues with Internet, particularly around firewalls and lots of companies getting online and connecting up, so I did a lot of stuff around that. Established an IT Security Firm and a security search engine, literally called Security Search. Simon: It is all out there on the way. And that was acquired by a Security Company around the 2000 mark. Michael: Around 2000. So, did you sell it before or after the .COM crash of 2000/2001? Michael: Who did you sell that to? Simon: It was a company called GFI. There is a press release out there, I am sure, online about it. They made security scanners and things at the time. We have never disclosed the terms. Michael: Yeah, I could not find an amount. Michael: Is it more than six figures? Simon: It was all under NDA. Michael: Was it more than six figures? Simon: That was all under NDA. Michael: It cannot be under NDA still. Simon: I cannot talk about it. Michael: That was more than ten years ago. Simon: I stick with my NDAs. What it did give us is the ability for me to sit back and think about what I want to do. Simon: And I ended up writing, after that, a book on Internet safety for parents and saw all the emerging, I guess, domain name forums and things like that and just went: “You know what? I think I will do this. This is pretty cool. Michael: Yeah. And so, at that time, you started acquiring more domain names. And clearly you understand the value of domain names as early as 1995 – one of the earliest, buying ISP.com.au. That was a great acquisition. Do you remember how much you paid for that, by the way, back in ’95? Does that ring a bell? Simon: Yeah, it would have been in the five figures. I cannot remember the exact price. I know it was in the five figures. Michael: Sure. And so, after you built the security search engine and the security company and consulting, and then you sold it and you wrote a book, or more than one book or at least one book? Simon: Yeah. Look, I did a lot of writing back then. Michael: Yeah, and you were in multiple magazines at that time. Simon: Yeah. Yeah, I had written for a number of magazines. Michael: So, did you decide that you wanted to get into domain names at that time or domain names just a contributing skill set to Internet marketing, which I know you have a background in as well? Michael: Yeah, it does sort of sound like a dumb idea when you put it like that. Simon: Yeah, that is right. And I am kicking myself and I still hold two of my dear friends responsible for changing my mind. Michael: Good, you should hold them responsible. Simon: But this just happens. It has been a journey. It is just something that, through trial and error and being in the right place at the right time, you just understand. Michael: Yeah. So, how big is your domain name investment portfolio today in terms of the number of domain names you have? Michael: You do not do that anymore? Simon: No. No, we do not do that anymore. We are much more conservative. But for us, we made all the textbook mistakes, so I would be addicted to auctions. I remember there is a video floating around. I took my family out on a holiday once and I was up at five o’ clock in the morning picking up domains on this beachfront place overlooking the Gold Coast, and then I thought: “I might have a problem here.” So, to answer our question, we have scaled it back. I generally do not reveal stats and things about our business. I would say it is pretty reasonable. It is not huge. It is nothing to write home about, but it keeps us happy. Michael: Less than five thousand? Simon: It keeps us happy. Michael: Less than ten thousand. Simon: All our domains (Unclear 16:16.8) that we cannot do are under WhoIS privacy. We are quite protective. But some of them you can find out there on the web. Use IPNeighborhood. Michael: I know. I am going to go do that. I am going to ask you to do it when we are doing the tutorial portion of this interview. All right. So you are not going to tell me how many domain names you have. You are definitely not going to tell me the entire valuation of your domain name portfolio. Let me ask you this. By TLD, how does your portfolio shake out? So, if you were to give a percentage to .COM.AU and a percentage to .COM and others, how would you think it shakes out? Simon: That is a really good question. I am a big believer in .COM. Let me just state right from the outset, I have always been a big believer in .COM. .NET as an alternative and .ORG are relatively okay in terms of if you are looking for a domain that you cannot get the .COM; sometimes you try the .NET. In terms of proportions, I would say maybe 20% might be .COM, maybe 30% or 40% might be .COM.AU, and there is a reason for that. I will go into that later. The rest will probably be .NET and .ORG. We generally stay away from other CCTLDs. There might be a few exceptions there and I know that, say, I have got a .CO for my blog and a .ORG for another one of my blogs. And literally the reason for that is there is another Simon Johnson who owns a very large company – a fine food company. Michael: And they beat you to your own name. Simon: You know what? I never thought, and this is just me and my naivety. I never thought someone would just go and register my name, and so I did not bother with it. Until I just noticed this, just one day, bang, it was all gone. And I went: “Oh, that is not very nice.” So I literally spent three or four years in auctions. I finally got the .ORG two years ago. Simon: So it was about a year ago, so I am slightly clawing it back. Michael: Yeah, well, you are not alone. It took me, I think, six years to get my last name .COM and I have operated off the .ORG ever since, because two months earlier than I reserved it, thinking: “Okay, I am going to get an email address. What should I go for? I am going to go for Cyger.com.” Two months earlier, it was reserved. So, no .ME, no .TV – none of those cool URLs? Simon: I am not a big believer in just acquiring Whatever.me or .MOBI. It is pointless. Simon: So that is just something that is just my belief over the years. And let’s face it. When you are dealing in a lot of domain names, registration and renewal fees can hit hard. So I think it is better to err on the side of caution and not go there. Michael: All right, Simon. This is the part of the interview where we are going to flip the camera onto screen sharing and you are going to share your browser, and you are going to walk us through five different use cases that a typical domain name investor or a business owner would have that they need to get information intelligence about, and we are going to see it in action with your tool. Sound good? Michael: Simon, it is amazing how many features you have in IPNeighborhood.com. Can you run us through the main areas of your software suite so that people get an overall idea of how it is put together? And then we will go through after that and go into the five specific use cases. But we will start with sort of an overview of IPNeighborhood. Simon: Sure. What we wanted to do was to create something that was fresh and modern and enabled people to dive into the data. And I am a data guy. I want to know that if I go into something, I want the depth and breadth to see what is what. So, when we developed this, we decided to develop a number of categories. One was an Intelligence category, which had everything you could ever possibly want to know about a domain name. And we solved some of those problems, such as, say, domain history, where people said, “Who owned my domain name last year or who currently owns it now?” Due Diligence was really about finding out metrics. Their trust metrics or SEO metrics, or third party backlinks – anything about a domain name. So, when you are performing some due diligence, if you want to buy or sell a name, that is the place you go to and it gives you everything on one screen. And look, there are a number of these, and we have so many tools. I might just skip a few. Simon: When people say, “I want to do a reverse IP lookup,” for example, you want to see how many domain names and websites are on a competitor’s server, you can go into IP Intelligence and type in a name and up they will come. And the same with, say, website hosting. You can do the same thing. You can learn all about web hosts and name servers. And I guess one of the big ones for us that has not been featured anywhere is Auction Intelligence, and that enables people to look at who is buying what at domain auctions, globally, across multiple markets. So, Intelligence is a really big one. Brand Protection is the other one, where people can go and manage their domain name portfolios and they can also lookup trademarks, both in the United States and here in Australia. So, if you are wondering if your domain name is trademarked or if you might be infringing on someone’s intellectual property, that is the place that you can go to. Simon: Or even if you have a name that you love and you do not want to buy a trademark, but you just want to make sure that if someone comes along and registers one, you get told about it, you can put an alert in there. The Domain Name section is really perfect for domainers, so some people who have used Domainer Income before might recognize some of these categories. So, you can search multiple aftermarkets, expiring and expired domain. So, expired domains meaning domains that are available now and you can go and hand register. You do not have to participate in an auction for. New Domains and a little Affiliate Domain Name Finder tool, which we might go into later. Michael: Yeah, that is a cool tool. Simon: Yeah, it matches up affiliate offers with domain names. And I guess, finally, the Valuation Area, and that is really about domain sales and historical sales. So you can type in a name if you specialize in a particular niche and you can see thousands of sales that are associated with that, and you can keyword search that. The data in Domain Sales I should say is also found on the Domain Sales iPhone App that we have developed quite some time ago. So, if you have got access to that, you will get access to this. Michael: Yeah, and that is a cool app for anybody that has an iPhone. I have got that one in my little Domaining section, and you can just fire that up and it shows IPNeighborhood right there, and then you can look up the latest sales just by typing in the keyword. So it is quick access to a lot of the information that Ron Jackson puts out on a regular basis on DomainTools plus a host of other auction sites that you pull in information from, right? Simon: Yeah, that is right, and it is free. Michael: And aftermarket. Yeah, and it is free. Excellent. All right, so we have got five use cases that a typical domain name investor or entrepreneur might want to run today or tomorrow after listening to this show. Two acquisition cases, two monitoring cases, and one monetization use case. So, if we go to your system, you are probably going to need to sign in, I take it, Simon. I should point out there is no free trial. There is no free account, like on some other sites. Michael: Why is that, Simon? Simon: Well, we used to run a free account with our Domain Investment Platform on Domainer Income, and we actually found a lot of people just abusing the service. Just signing up over and over again. And that put a lot of load on our system and also a lot of people scraping the data and reproducing it. So, what we did was we introduced a day pass, which was literally the concept of get access for a day. It costs you less than a cup of coffee, and it is just a little hurdle. It is not substantial or anything. It is like $4.95 or something. So, if you really are serious about it and you want to sign up with very little risk, then go right ahead. So that is really a way of offsetting that and that means that we can have a system that is available and fast, depending on also our API users who like to hit it, and that is what we have done. Michael: All right, sounds good. All right, so let’s go ahead and sign in, and we will do the first use case. Simon: Let’s remember my credentials. Michael: You are already in. All right, so first use case is an acquisition use case. Let’s say that it is a classic scenario. I found a domain name I like. I know it is registered because I have gone to any host of WhoIS services. You have a WhoIS service as well right in Domain History or Domain Due Diligence to lookup WhoIS? Michael: History. So, let’s say – boy, I hate to use my own example. Did I provide an example? Let’s see here. I did not. Simon: I am kind of up to give you an example and it is something that I think domainers might like in that a lot of people, when they look up WhoIS history, the typical example is they go and type in a domain name and then they get other names. But just a little tip; something I have learned over the years is not all companies register names under their parent company. Simon: And not all names are also registered using the same email address. Michael: Right. And some of them are under privacy for whatever reason. But let’s say that you knew a domain name you wanted and it was under a person’s name and you could see their email address in WhoIS, which everybody has access to. And you want to make an offer, but you want to find out if that person is a domainer and has two thousand domain names or if they are just a person that has got five other domain names. They are just probably a techie or a small businessperson. They are not using it. Simon: Let’s use an example. Michael: So, Wire.com – the magazine Wire. Simon: Yeah. So, take Wire.com as an example. Now, currently, right now, you can see the registration and admin contacts for, say, Condé Nast Publications and Advanced Magazine Group. And what domain name investors also need to look at is these relationships. So, for example, if you clicked on Condé Nast Publications, you could pull up a list of their names. There is Allure and others. Michael: Wow. Okay, so all you have to do is click right on their names and you get an entire list of all 613 domain names that are registered with that name as the registrant. Michael: AlabamaGlamour.com. Wow, that is cool. Simon: But I will show you what is cooler. Advanced Magazine Group. I have not even looked at these guys. Simon: But what you can do is you can find out. You can get these lists and you can look at it, and say, “All right, what are the relationships there? Where are they registered under?” You can look at some of those emails. For example, if we scroll down and look at the technical contact, the technical contact email is Domains@CondéNast, but that is domain admin. So, we can do things like click on Domains@CondéNast and you find, well, he is only a little sample. Michael: Yeah, six or seven or eight domain names there that may not have been found in the other ones. Michael: So, just by clicking on that name, which I should point out you gave me a free trial account right before this interview so I could play around with it and become more familiar, Simon. I did not even realize that those were links, and I was going to ask you how do you get access to this, because you said that it was there. So, these are very cool just clicking on, because I will just point out that the free services that I use online are not as comprehensive as probably what is in your service. Now, do you know – and I should point out that other competitors actually charge fifty bucks or a hundred bucks or on upward based on how many domain names it knows are associated with that domain name. So, let’s say if you are a lawyer and you are running a reverse WhoIS on all the domain names owned by or associated with a specific email address, they are going to charge you more for a larger report. Michael: Whereas this is all included. Simon: Correct. We do not charge based on the results that are in the database, and so if you do a search and the search comes up with a thousand results, we are not going to suddenly hit you up for a 1000-dollar report. Simon: And the information is there when you need it, so you do not have to generate a report or download it, or get someone else to generate it or whatever. My philosophy was, if you want the information, it should be there. Now, that kind of puts a bit of a load on our servers, because it would be quite easy for us to say, “You know what? We know what you are searching for. We will run a batch report sometime when we are free and we will give you that information later.” For us, it is like: “No, you want that information now.” So, if you are a lawyer and you are in a meeting with your client, and the client says, “Hey, I think they are cybersquatting on our name,” a lawyer should be able to come to IPNeighborhood, type in the name, and get a list. Michael: Yeah, and see if they are squatting on other domain names, which then they can use in a UDRP or whatever that case may be. Michael: Very cool. And so, can you export these domain names somehow to look at them in Excel or (Unclear 32:36.9), or things like that? Simon: We have not added that feature yet. We will, but for us, it is really right now, having just launched it, about getting all the data in there and making those relationships accessible. So, you can scroll through. You can see them for yourself. Michael: And copy that, and you are working towards a download option. So that is powerful right off the bat. The other day I had a need to see how many other of a specific keyword domain name a person had that I was inquiring about the domain name, and I have got all the information right here, which will help me make a more informed decision about whether I should make an offer right off the bat or just inquire and see if it is for sale. Michael: Excellent. All right. So, anything else under the Intelligence? Oh, let’s look. So, two questions on this Domain History. One is: people are going to want to know how comprehensive the data set is in determining if you have all of the domains that are associated with Domain_Admin@AdvancedMags.com, for example. Simon: That is a really good question. It is a bit of a domaining myth and something that many domainers do not really understand, so let me just spend a minute explaining it. There are some domain extensions, like .COM, .NET, and .ORG, who publish lists of domains. And we get those lists and our competitors get those lists. Okay, so do we have a list of every single .COM domain today? Yes, and the same with .NET and .ORG. Simon: But there are CCTLDs that do not publish lists. So, then it is about: “Okay, how do you get that information? How do you know what domain exists,” because the reality is that when you register – I don’t know – a domain over in, let’s say, Australia as an example – .COM.AU. If you register a .COM.AU, the only person who really knows about that is the registrar and you, and of course the provider that you are using. Michael: Because they do not provide a list. Simon: Correct, they do not provide a list. Michael: So I could go do a WhoIS lookup on ISP.com.au to see who owns it, but I would have to think up every single domain, do a search, and scrape it. Simon: Yeah. So, the reality is there are ways we can use our own internal data and external data, and we put together lists of CCTLDs where that information is not available. Now, that is the reality. It is not a unique problem to us. It is an engineering challenge and it is something that the industry has to battle with. So, for me, I am very much open and transparent. I will tell you how these things operate. So, to sort of say – and domainers say it all the time -, “Well, how many domains are in there,” and we say, “Well, however many we can get,” and that changes on a daily basis. Now, in relation to historical WhoIS, that is a (Unclear 36:04.6) altogether. And really, that comes down to how long we have been amassing data for. Simon: And what we did not do, we did not sort of turn on our service and say, “Well, today we are going to start getting data from here onwards.” We have been doing this a long time and a lot of the data that we have and some of the tools that we have is based on some of our own Domainer Income data. And even when you go back into things like Domain Sales are based on data that we have had for many, many years. So, we know that we are playing catch-up and we know we do some things really, really well and in other areas like historical WhoIS there is room for improvement, so we do not pretend to be the silver bullet. I am sure there is going to be names that we do not have and I am sure there is going to be a lot of names that DomainTools does not have. So, you can compare them both for yourself. That is my advice. Michael: Got you. So, if we scroll down on the screen that you have right now, it should show us who has owned Wire.com before Condé Nast became the registrant. Simon: It would if we had it. Michael: If you had it, right. Simon: And you can see that the domain was registered in ’92. Simon: And that is what happens. So, it was not really a big problem for us because a lot of people say they just want to know who currently owns it. The problem that they are trying to solve is who owns it now and what other names do they have. Simon: Because I want to sell them something, or I want to buy their name, or I want to price a name. So, the problem we were trying to solve was: “Okay, they can look up domain history and find out who owns it now, but they can also use other things like IP Intelligence and find out a list of other names that they own.” So you can combine these things and really come to a more accurate conclusion on a name than, say, just using domain history by itself. Michael: So, right of the bat, and I know a lot of people realize that I am a straight shooter when it comes to stuff. I am just trying to educate people equally. I love DomainTools.com because I can go and say, “I want to buy this domain name from Simon Johnson.” If I ask him directly how long he has owned it, he may not tell me. I can go look that information, and they have got a great database because they have been doing it for years. But then I will pay my twenty bucks a month and come to you and see how many other domain names you own and do a little intelligence on it so that I can get a better idea of how serious an offer you might expect, because of the domain names you do and how you operate. So, very good information. Let’s move to our second use case, Simon. Auction Intelligence. Let’s go to that section and tell us why investors might want to use your Auction Intelligence tool. Simon: Well, this tool we actually developed for our own in-house use. And I think it is one of the most powerful tools out there. I have never seen any tool like it, and I am not blowing my own smoke. I actually genuinely believe that this is such a game-changing tool, and the reason is that, in the domain name industry, there is a lot of hype and there is a lot of bravado of who owns what domain and what did they buy last week. Simon: For many, many years we have had this tool and we know who the serious buyers are and who are just the Mickey Mouse weekend, casual domainers that overstate what they are doing. Now, yeah, we decided to put this live on IPNeighborhood, so it has a lot of information in there and it tracks options on a daily basis. We like to say real-time basis and I will get to that in a second, but essentially what it does is it gets all the information from our Domain Sales feeds and from our partners and it puts it into one easy to understand screen where you can search on things like keywords, or you can look at who bought what when. Now, why is this valuable? Why should you care? Apart from the whole voyeuristic, oh, look what they bought today, you should care because if you sell domain names, this gives you a huge database of who has actually bought domain names in that niche. So, if you are a domain broker and you are sitting on a pile of names, and you have gone through your rolodex and you have contacted the usual suspects, and they said, “Oh, yeah, I am not interested,” all of a sudden you can target people who have bought similar domain names already and you know how much they paid and when they paid for it. Michael: All right, I am chomping at the bit here, Simon. Let’s get into the tool. I want to see how this works, because I would — all right, let’s get into the tool. Michael: So, do you have an example or do you want me to throw out a keyword? Simon: Maybe I can just show you just quickly a few little tips and tricks about the tool, and then you can throw out a keyword. I do not mind. Simon: What this does. When you visit the Auction Intelligence page, it gives you a listing in real time. Michael: Okay, these are names that just sold today in auction? Michael: Yeah, I did notice that. Michael: Let me ask you a question. What about .EU, or .CO.IL, or .EE? Like I did not see them up there, but I did see a lot of .COM.AU. Is it because you are Australia so you are bringing in more feeds from Australia? Simon: No, it is just simply because if we get the data. For example, if Sedo decides they are going to sell a lot of .DE, the data will go straight in there. Michael: Okay, so it includes all country codes. Simon: Yeah, absolutely. This is like a worldwide database, and it just displays it as we get the data. So, some aftermarkets will use our API or they will setup a feed, and they will dump data directly into this, or some aftermarkets, for example, will send us it. I know there is one that sends us a PDF, which then we have got to convert to text and put it in there. That takes time. Michael: So, right off the top, I can see a three-letter .COM just sold today on one of the auction platforms for 17,500 USD, I assume. And then you have got two columns there: WhoIS Day One and WhoIS Day Seven. Can you describe that? Simon: I can. One of the interesting issues when it came to identifying who buys what domain names is often domain names are bought by third parties, such as ad agencies or escrow services and things. So, what generally happens is someone will buy a domain name for a company, they will hang on to it, and then they will transfer it later. It may take a week. It may take a month. So, what we do is we grab the results, but we also grab a WhoIS of the sale at a particular point in time. So you can just mouse over that – you do not have to click on it – and it will say, “Hey, look, this was sold on Sedo. It is still in the transfer service.” And in seven days, we are going to do a WhoIS lookup on it and, in thirty days, we are going to do another one. Michael: Got you. So I can see that that domain sold at Sedo. That is what it tells me right off the bat. Simon: And the same with anything else. Some of these things might be under WhoIS privacy, either all or in part. And you can go and work all those little things out. So, let’s say, for instance, if you wanted to sell a domain name and you think the domain might be worth a thousand dollars and it was in a particular niche, you can go and run all these little queries and you can do queries on queries. So, you can say I want to look on domains and I want them to contain the word ‘Bear’ or I just want all the .NET or .ORG, or I do not want any hyphens or numbers. It is the usual sort of stuff. Michael: Yeah, so type in Domain there. I want to see all the domains that have the word ‘Domain’ in the domain name. Oh, just the .COM, I’m sorry. Let’s do .COM with the word ‘Domain’ in it, because a lot of investors might want to buy those domains. Maybe it is an original domain. So, here an example. OriginalDomains sold today for 250 dollars. On WhoIS Day One it was American Marketing. So, you are not sure if American Marketing is who sold it or who bought it. Simon: Well, they will be who bought it. Simon: Now, this is where it gets a bit grey, which is why we do the WhoIS in increments. It depends on when. Sometimes the transaction will go through, but they will not make the change for a week. Simon: Or they will make it at that particular time. So that is why we said we have been notified that there is an auction and, as soon as we are notified, we do a lookup and we will find who that is there. Now, you can come back to that later and you can say, “Well, there is something going on,” or you can say, “Well, there has been no change in it.” And sometimes you will see there is a lot of dummy data or empty data with people doing things. It is very, very weird when you get to this level. Michael: So it is not that your system does not have the data. It is just that there is not very good data in the system. Michael: So, if I looked down that list, DomainNameLeasing.com. Everybody is talking about leasing. Rick Schwartz had his JointVentures.com. That says empty name. It sold on July 1st for 550 dollars. Do I know where it sold through? Does that mean it sold through Fabulous? Simon: It depends. The idea of this was to really provide a view of the marketplace. We have not matched up the web there, but you could go into our Domain Sales tool and type that in and find out about that domain name, so you could find out where it was sold. I am sure it would not be too hard for us to put where. Simon: But the purpose of this particular tool was to say, “Give me a list of who is buying what.” So, maybe that is a feature we can add. We will call it the Michael Cyger What Was This Name Bought. Michael: So, if I have got DomainLeasing.com, I can come here, I can type the word ‘Domain’, and I can see that, in auction, DomainNameLeasing.com just sold. I may not have thought of it, and then I can go and lookup the WhoIS for it. In this case, it is empty or, in this case, it is WhoIS privacy services I guess. Simon: Yeah, that is right. Simon: Yeah, and sometimes, actually more often than not, what we see is WhoIS privacy being added a couple of hours or minutes later, so sometimes we are actually able to get in there before WhoIS privacy is automatically added. Michael: Yeah, so that is important. Simon: Yeah, that is particularly cool, but if you really want to find out who it is, you can run that through IP Intelligence or something, depending on if it is being moved, if the DNS is changed, or a whole host of things. Michael: So, tell me again, Simon. Why would I want to use this tool instead of just going to NameBio.com and typing in the word ‘Domain’, and looking at domain sales and finding people who are buying domain names by recent sales, and then looking up the WhoIS of those domains? Why is this better? Simon: You might have just answered that. We have a Domain Sales tool that we think is a lot better than DomainNameBio. We have gone on record many times, saying that we believe we have the largest database of domain sales anywhere. Quite happy to be challenged by that. We know it is in the hundreds of thousands. But this particular tool is designed to save you a lot of time, because we already have the data here. The domain name and the sold price. We can cut and dice it however you like. You do not have to do WhoIS lookups. You do not have to schedule them like we have done. So, let me give you an example. If you were to go to, as you just said, NameBio and say, “Well, I want to know who just bought XYZ,” who knows if and when they got that record. You are doing a WhoIS lookup now versus however many hours ago that sale might have taken place. Simon: We do it instantly. It is automated and we schedule all these things. So, for us, we wanted to create a tool that was professional domain name investors and we understand that there are some people who do not want to pay money for a tool and would much rather spend all their time doing WhoIS lookups and filling in CAPTCHAs and all that sort of stuff. Simon: For me, I have got better things to do with my time, as I am sure most people have. Michael: For twenty bucks a month I have got something better to do with my time as well. Yeah. Simon: That is right. It is a no-brainer. Michael: Let me ask you this question, as long as I am thinking of it. If I sign up today for twenty bucks a month, am I going to be grandfathered into that price as long as you run the service, Simon? Simon: Grandfathered into the price. Michael: Like are you ever going to raise the pricing? Simon: You know what? We have absolutely no plans to raise the pricing. We have never even discussed plans to raise the pricing. So, I cannot promise that we will never ever do it, but it just does not make sense for us to do it. We have a system that works and that is quite fast, and there is no reason for us to do that. Michael: Yeah, okay, so the cool thing about this WhoIS is that you grab it as soon as you get the data feed. It is automated, and then you look at it seven days later. So, if I go and look at, let’s say – I am looking down this list to see if there is a change. Simon: Sure. Well, let’s filter, say, by sold price, right? Simon: Let’s do something a little bit. Michael: So, I guess my question was can I get this exact same information by going to the WhoIS history in the Domain Name section, where it will show me one record for the first technical contact and then another record, seven days later, when the technical contact changed? Simon: Yeah, it should. It is all from the same. Michael: It is the same database, right? You are just presenting it differently. Simon: Yeah, that is right. So, there might be, say, instances. I am going to show you something. Michael: Yeah, so here is DomainCommerce.com. On Day One it was a registrant of Domain Administration J. Williams, and then on Day Seven it was a new registrant of Moms View LLC. Michael: And you may miss the J. Williams who could be a broker, who could be an escrow agent, who could be any number of people, who you may want to contact if you only do a WhoIS lookup today. Simon: So that is kind of how it works. That is the power of it all. Michael: That is very cool. All right, let’s get into user case number three. We are going to talk about monitoring now. So, people can go in, enter in brands, trademarks, or service marks that they want; their own niche that they want to monitor. Maybe it is a niche that they have a trademark in or maybe it is nothing that they have a trademark in. They want to monitor a competitor’s trademark to see what they are doing. I know GoDaddy has been very prolific lately in filing for patents, and so maybe you want to monitor that. So, walk us through your Brand Monitoring section and tell us what is significant about it, and then let’s do an example. Simon: Okay. So, the reason we created this is literally because people spend far too long in Excel spreadsheets, trading domain names, and I am saying you can do better. Simon: For me, it is about treating this as a business, not as a hobby, not as a thing you do on the weekend, and getting some rigor around it. So, for that reason, we have a Domain Name Management function, where you can add your portfolio. And I have just got a few examples in there. Michael: Oh, it is not going to be real domains you own, Simon? Michael: Darn it, I thought we were going to get access. Simon: Not in this case. But you could see everything about a domain name and you can categorize your domain names. So, if you run a company and you have legal that own it, or finance that own it, or IT that own it, you can categorize it accordingly. And you can slice and dice, and search it, but we will not go into that. I think the juicy stuff is really in trademark monitoring. Michael: So let me ask you about the Domain Name Management real fast, because people are going to say, “That is cool that I can upload my domains,” and we are actually going to talk about some other stuff maybe if we have enough time regarding that, but how private is my data? How do I know that Simon is not going to look up my domains? How do I know that the rest of his team is not going to look at them? How do I know that your system is secure and people are not going to hack in and get a list of every domain name I own when they are under privacy or what have you? Simon: And that is just what I am comfortable with. So, I would not want people looking at my stuff and having all these other parties and dodgy agreements. Simon: And I think that is a practice that needs to stop within the domain name industry, and that is something we have put our hand up and said, “You know what? We are not going to be part of that.” And if that means there is not an aftermarket that you want on this service, that is probably the reason why. Michael: All right, well, I am glad you clarified that, Simon, so we can see the difference there. Michael: All right, so let’s get into trademark monitoring. So, you are in the My Trademark Alerts section right now. Simon: Yeah. So, I guess if you do not know much about trademarks, and they are often a bit of an interesting field to say the least, there are specialist trademark attorneys that can give you advice on it. So, I am not a lawyer, so disclaimer. This is not legal advice. But I can show you how to monitor trademarks and how, perhaps, you can search for a name. So, if I was just to briefly describe trademarks, there are three different areas in this tool that you can use. You can just say, “I am going to add a keyword alert,” so perhaps every time someone registers a keyword like Coke, I want to get an alert sent to me, say, via email to say, “Here is the trademark and here is all the data, and hey, it has just happened.” Something is going on there. Coke is being used in a word. Or if I want to, say, monitor a competitor, for example, there is one there. Google Inc. I can type in a competitor’s name and receive an alert every time they do something. Or I can add a trademark application alert. So, when an alert comes up containing a particular keyword or it is in a particular category – so, for example, it might be Coke in a particular class, and each trademark has a class, so they might be retailing of goods and things like that -, you can do that too. But let me show you how easy it is and how it works. Simon: I think that is probably the best thing, and we can do that by, say, adding a trademark application. Michael: And the application is probably the best, because the application does not mean anything has been granted or even reviewed. It is just it has been applied for. Somebody has submitted it to, say, the US Patent and Trademark Office, and it is in their system. Simon: So, what you can do. It is in the system. An application alert will also show you if anything is done to another application. So, what you can do is I can type in a trademark number if I knew an application that I wanted to keep an eye on. For instance, something that has been applied, you can type in the trademark number, or you can do things, say, I want to search the United States for the word ‘Coke’ and I want to know. Here is a list of trademarks that I want to monitor. And it is as simple as that. I mean you can scroll through and say, “Well, here is a trademark 4824421.” And I want to click that, click save, and it is in there. So, in terms of how easy it is to monitor a trademark, that is all you have to do. Michael: So that monitors a trademark that has already been submitted. So, let’s say GoDaddy put in their – well, that would have been a patent. So, this does not do patents. This is trademarks, right? Simon: Correct. It is a trademark search, but what you can do and we will take your example. And I am sure Bob Parsons is going to love me saying this, but let’s use this as an example. If you knew, hypothetically, that someone like GoDaddy always used a particular attorney, and you knew their attorney’s name, because let’s say they wanted to hide. I am not saying GoDaddy would, but I am just saying a company maybe that always uses a particular attorney. You could type in the attorney’s name, click save, and the system will then – and there is an example right there – tell you every time that attorney files a trademark. Michael: Got you. So, if people want to follow their own trademark. So I have got a trademark on DomainSherpa. I could enter that in and then it would notify me if any trademarks were granted that included that keyword. Michael: Got you. So, when would I want to track the keyword here versus add application alert? Simon: You could either drop it on a keyword alert or an application alert. It is really up to you. Michael: Both will tell me if a brand new application is being applied for? Simon: Yeah, both will, but it depends on how you structure it. What Application Alert does is it wants a keyword or a trademark number. And here, you can use some of these values down at the bottom and say, “Give me exact match. I want a specific one.” And the reason we do that is we do not want to overload the system. When we first tried this we had people doing the word ‘Cat’, and then it was chaos. There is just so many trademarks and words that contain the letters C, A, and T.
Simon: So, how this can be used by people is if you are sitting on a domain name that you love, but you perhaps cannot afford or do not want to buy a trademark or apply for a trademark, you can just use this system and keep an eye on it, and make sure no one else is applying for a trademark. And then, obviously, you are decreasing the risk of things like reverse domain hijacking and other things. Michael: Exactly. Yeah, so if I want to track anything in the domain name space just to make sure that somebody is not submitting a trademark that included DomainSherpa or something that I am thinking about in the future, this would be a great tool to just load it and forget about it, and you are going to notify me. So does your system scan the trademark databases daily, and then I will expect to receive an email daily? Simon: Yeah, we get the data daily, both in the US and in Australia. We have the data in full. We do not scrape it or do anything like that. Here, in Australia, for example, we are one of the few companies that are actually licensed for the data, so it is all totally above board. Simon: And our interface is also a lot faster than the trademark interface, and so (Unclear 1:06:17.4) and so friendly. Michael: Well, the US Patent and Trademark does not even have a next button when you want scroll through different. It is just amazing. So, yeah, I will agree with you that user interface of your system is beautiful, and I got my first notification today of trademark activity. So, I included DomainSherpa. I got the email. Beautifully formatted email. There is DomainSherpa right on the top, and so it will, I assume, notify me from now on if there are any other changes or any other trademarks that include that keyword. Simon: Yeah, that was it was designed to do. Michael: Great. All right. Anything else about the Brand Protection that we should know? Simon: No. Look, I think it is an emerging market for the industry and I think it is one that people should take seriously, given all the issues around trademarks. And these trademark applications for domain names, I have noticed, have increased. We have had people at companies retry and register trademarks on some of our things, but the only thing I would say is if you are interested in that area, make sure you get proper legal advice from a qualified trademark attorney. Michael: Definitely, and luckily we have one of those guys sponsoring Domain Sherpa. Upper right-hand corner. Michael: All right, fourth user case. Monitoring. You had a very interesting tool within the Monitoring section. It is for monitoring discussion forums for keywords. Michael: Let’s go to that section and walk me through a use case that people may not realize was something they should be thinking about. Simon: Yeah, this is actually a tool that we have had for quite a few years that has been under the radar. It was something that we had on Domainer Income. And it varies. We originally started out by trying to solve the problem of there is so many domain name forums; there is so many places where you can buy domain names and see people advertising domain names. How do you keep track of that? And I think domain name forums are a great resource where you can pick up domain names pretty cheaply and you can talk to the owner. So, what we did was we looked at a number of forums and we said, “Okay, how do we capture what is going on there and enable people to just come to one place to search multiple forums, and then go out and visit that forum and be respond.” So, I thought to myself: “Wouldn’t it be cool if I was interested in a particular niche?” I don’t know. Weight loss or something. That is the stereotypical one that comes to mind. Simon: I could enter a keyword and then, within a couple of minutes of someone posting an email on a forum, I would see that post and I could go in and make a bid first, and grab that name and secure that sale before anyone else. Michael: That would be very cool. Yeah, and you cannot monitor all those discussion forums, so a single interface to do all that is phenomenal. Michael: Should we run through an example? What if you typed ‘Weightloss’, thinking that it might pull up domain names that are on there? Simon: I do not know. I do not know what would happen. Simon: It depends. Well, there you go. Michael: All right, so it came back, so explain this result set. Simon: So the result set. What we decided to do was to break up forums into their sub-forums and look at the categories associated with that. So, if you go into a domain name forum, you will often see a sub-forum, like Developed Websites for Sale, or people just selling domain names or domain names with traffic. And then we also looked at the other column here actually, which was Ebay listings. There is a lot of domain names on Ebay, so we said that Ebay did not really fit into our Aftermarket page, so we put it here. So what these results show is, within the last two days, someone did a post, and often it is cross-posted to multiple forums, so you will see it here as a duplicate. And they would have used the word ‘Weightloss’ and that is on Digital Point. So, what you can then do is click through and it will take you to the post in Digital Point that talked about weight loss contextual links, or safe weight loss pill, or on Ebay, Big Detox Diet. And that will take you through. It is not an affiliate link or anything like that. It is just a straight link. You can go straight through to that Ebay listing and, as you can see, it looks at the end date and things like that. Simon: Now, for some of these things, we keep all that historical data in there. We are a big fan of historical data. Simon: And it will tell you how many days from today it found that. So, we wanted to create a way for people to look at forums in that way. Now, we do not have every single domain name forum out there. Some forums do not want us to do that. Michael: Right. I was just going to ask you. How can I look at a list of the forums that are included so I know which ones I can use your service to query and which ones I have to go visit? Simon: At the moment we do not publish a list, but you could see a list by looking at the links and certainly working it out, or even doing searches on abbreviations. I do know and should make the disclosure. I do know a lot of the forum owners very well. So, it is probably not appropriate for me to point the finger, but I would be happy to include more here if they decided that they wanted to participate. For me, it was: “Hey, let’s just making something available that enables people to come and find domain sales a bit better.” Some forums would much rather you go directly to them. Michael: Well, you are sending them extra traffic potentially. Simon: I know, but it comes down to a personal decision. Michael: Sure. Is DNForum.com included in your list? Simon: DNForum is there. There are some forums. I think when we last looked at it, I think NamePros was one that removed some of our ability to do that. For me, we include all the feeds and things in here. And if the data is not made available freely, then we will not be able to provide it. Michael: So I could search on my last name, for example, and see if anybody is talking about me in any of the discussion forums without visiting all those discussion forums. Simon: Yeah, it will only search on specific forums for domain sales. Michael: Oh, okay. So it is really meant for the sales information. Simon: Yeah, it is really only specific sales forums. We do not index general discussions and things like that, because it is only forums that make those available publicly, so we do not use a set of credentials, for example, to login. We could, but we do not. We would much rather just index what is there and what is publicly made available. Michael: Great. So, if somebody has a discussion forum and they want to have their forum indexed by you, how can they make that request? Simon: They can just send us an email and we will add it in there for free. Michael: All right, sounds good. Very cool. If I want to setup just a notification by email for anything weight loss related that you happen to hit, is that possible at this time? Simon: Not right now with this tool, but we may make it. If enough people say, “Hey, look, we want this,” we would do it. We already do email notifications on everything else – on domain names and trademarks. Michael: Cool. So, last user case we have, Simon, is monetization. You have a way to match marketplace domain names with affiliate offers. Can you walk us through that tool? Simon: Sure. Sure. There is an Affiliate Domain Finder tool under Domain Names. And the reason we created this tool is a little bit of a secret squirrel tool that we have had for a while. We wanted to solve a problem, where affiliate marketers and domain investors were building websites around affiliate offers. So, they would join an affiliate network and then say, “All right, I need to go out and buy a domain name in a particular niche.” So, what we did was we would match up domain names that are in various marketplaces that we have in our index with a bunch of affiliate products, and we would merge that data – and there is a lot of data there – into just one interface and give people a sense of is this affiliate offer going to work for them and how much does the affiliate offer cost and how much am I going to get paid. So, I think the best way to do it is just to demonstrate it. Now, I think it is important to note that there are a lot of products, and in particular we are using ClickBank in this instance. So we are matching all the ClickBank products with domain names. So, do you have a keyword? Michael: Yeah. Let’s use an example of domain names, where somebody wants to find domain names to offer affiliates or maybe they just want to find affiliates for their domain name blog. Can you look through using this tool and find domain name offers that are currently in ClickBank to potentially include? Simon: Yes. Let’s say you are an affiliate and you can search on domain name or product name, or if there is a vendor that you particularly like, but I think maybe the stereotypical one that I used before is weight or weight loss, so let’s maybe try that. Now, that is a big term. Michael: That is going to be a massive one. Yeah. Simon: It is pretty big. So, right now, 769 domains and a whole heap of data. Now, I need to sort of put this data in context. Down here, you will have a list of domain names and they will probably be from an aftermarket. You could see some of those are NameJet names. Some will be SnapNames. Some will be from all over the place. Michael: Oh, okay, so I see how this tool works. So it is looking at domain names that are in the aftermarket right now, so they are for sale. Simon: Correct, they are for sale now. So they are domain names that you can buy today, and that is in the left column. Michael: Not being dropped. Not expiring. These are available for sale and you want to look to see what offers you could potential sell off that domain name. Simon: And we are just using the ClickBank Affiliate Marketplace as an example. Simon: So, in ClickBank, what you can do is search by, say, gravity, which is essentially a measure of popularity. So, for example, you can say, “Well, ReduceBodyWeight.info is a domain name,” and there is a ClickBank product here and you can just hover it, and it will talk to you about diet guides and it will tell you all the information and how much you get paid. $8.42 from an initial sale. So, if you are into that, you might go: “Great, I think that is a good name and I will take it.” Or if you want to read more about the description, or you might see some other keywords that are associated that we have pulled out that might be related, you can do that. So the beauty of this tool is if you are an affiliate marketer and you are into that space, you are always looking to build your portfolio. You are always looking for new names. You might like .INFO names because they rank well, or you might prefer .COM because .COM is king. Michael: Yeah, very cool. And so, right now you have ClickBank products in there. And if you mouse over one of those, you can look at what the details are of that offer, so if you just mouse over one for an example. Simon: Yeah, yeah, sure. Pick one. Michael: Just mouse over any of them. I just want to take a look at the details. Simon: Yeah, sure. So, scroll right down. Michael: Gravity. Category. Popularity. Okay, so I can make 51% of the sale. The initial dollar per sale is ten dollars. So, if I offer that product, whatever it is, $10.45 a sale; I would make 50% of that. Michael: And so that domain name might be worthwhile. And so, I would just then click on the domain name and it would open up that domain name for sale on some aftermarket? Michael: Okay. And can I look to see how much it is just by mousing over the domain name? Simon: It depends. Well, you can go into our Aftermarkets tool and look that up. What we generally provide here is just the stats. Simon: So you can click on it and it will take you through, and you can go and see that price in the aftermarket, but here it is about doing a lot of sorting and trying to find out if it is worthwhile or not. So the problem that we had that we were trying to solve was: I am interested in weight domains. I want to see it by the most popular ones. The most popular affiliate products being sold in that market. So, there is one there, for example. Your initial sale is $49 and you get 75% of it. So that is why it is popular. Michael: Got it. So the real purpose of this is to find new domain names that you want to build out and offer affiliate links on those websites. For domain names you already own, you can just go to ClickBank and type in keywords and find products that way, but this is for looking for additional domain names you want to purchase. Simon: Yeah, or literally, I mean you could use this tool. You could completely ignore that column if you have got a list of names. Let’s say you had a heap of weight names. Michael: Oh, so if I own WeightLoss.com, I could just type in WeightLoss.com and it will show me. Simon: You could just type in weight and it will show you all the ClickBank products associated with it. Simon: Or I think dating might be another one. I have never tried this, but search by gravity. So there is a huge gravity. They obviously have not got that data in there. That is interesting. Michael: No, no initial sale. All right, well, very cool tool for people to take a look at. So, if people are signing up for the service and they are trying out these different tools, and they are using it and they are saying, “I think this tool could be improved by doing this on it.” What is the way that they should notify you about that, Simon, because I know I love it when people email in to DomainSherpa and say, “You should interview so and so, or you should have somebody talk about this. It is a topic that I do not understand.” Is there a way that they could do that easily on IPNeighborhood and what do you suggest so that it goes to the right place? Simon: Look, they can use the Contact Form there or log a Support Ticket. Michael: So go into Support right in the upper right-hand corner there. Simon: Yeah, and say, “Hey, I would love to see this.” Because the platform is so new and has so many products under one roof, I would love to just continue to build out and add more features and things. So, if there is something, if you sat back and said, “Well, my ideal tool would do X,” you are probably not alone and we are happy to accommodate that and make some changes, and give you something that works. Michael: Very cool. All right, so here is the final question for you, Simon. People were able to see parts of your product today. They can sign up for either a price of a coffee and try out your system for a full day, or they can sign up for just twenty bucks a month and cancel at anytime they want. But what they do not know is your roadmap. If they sign up today, what is in store for IPNeighborhood.com in the upcoming weeks and months? What are you working on that is soon to be released? Simon: Well, what we are concentrating on now is really adding more data and more features to the system. We have got a lot of data that we are bringing online. We do it everyday. I can tell you actually, as of yesterday, we are in the process of adding another forty million new CCTLDs into the system. So, for us, it is really getting that depth and breadth in there and establishing a solid base. And over the year we have amassed a lot of data and, for us, it is about how do we get that online and how do we make that accessible in a very easy manner so people can just get what they want quickly and easily and cost effectively. Michael: Right. Okay, so nothing specific, but you are bringing on more data and your UI is nice and clean. So, if people have additional suggestions for how to improve it so that they can get notified, so that they do not have to check it everyday, send in a Support Ticket. Simon: Yeah, I’ll tell you what. I will give you one little thing that we are doing. Michael: All right, I love it. Simon: And some of you may know this. We have made some announcements regarding API use and partners, and things like that. And I think you will be seeing a lot more of that and a lot more people and companies and aftermarkets using the API and our data in different ways. And that could be people who have used their own or launched their own little custom tools to aftermarkets and platforms. So, the direction that we are heading in is really we want to be a wholesale provider of data to the industry and we are going to put a huge amount of effort behind that to make sure we have got a product that really solves people’s problems, and that is something modern and fresh and easy to use. Michael: Very cool. If you have specific questions for Simon, please post them in the comments below the video and we will ask Simon to come back and answer as many as he can. Simon, if someone wants to contact you and say thank you for coming on the show and sharing what you have learned and your background and how to use the tools, what is the best way for them to contact you? Simon: To contact me personally? Michael: Yeah, just to say thanks for coming on the show. Simon: Yeah, look, they could go to SimonJohnson.co or they can visit me on my Facebook Page, or even contact me through IPNeighborhood. I do not mind. Or post a comment below on Michael’s website. I think that would be great. Simon Johnson, Director of IPNeighborhood.com. Thank you for coming on the show, sharing your knowledge, and thank you for being a Domain Sherpa. Looks like DomainNameWire said the Whois History tool is inaccurate. Does Simon want to respond to this? Good interview, Michaal. I think the real challenge for ipneighborhood when competing with DomainTools, is the trust factor when marketing to domainers. Since Simon is an active domain investor and still actively holds a large domain portfolio, there’s always that worry in the back of a fellow domain investor’s mind as to whether any data and/or entries entered in a system are ever being “tracked” and logged by the owner of the service. One could only imagine the advantage one could have with such data. I’m certainly not saying that this is happening, but it’s a concern anytime a new service like this enters a market and whether this creates a conflict of interest of sort. It would be a reassuring to domain owners if the owner and developer of such a service had no shared, vested interest in domain investing. Another awesome interview Michael! Keep up the great work of uncovering value added infomation for us Domainers! I love these incredible interviews. Thanks, Mike. I appreciate the feedback. I’m happy with DomainTools but I like to hear about new tools. I’d be interested to get an update when there’s more data. Cheers. Interesting tool. I’d try it for $20 for a month and give it a full run against the other tools I use. I’ll post back here after I do that. Thanks for the interview Michael and Simon. You’re welcome, Troy. Thanks for watching and commenting.